Update on Jan. 15, 2018: "Priced Out" will be showing at Portland Community College's Cascade Campus on Jan. 16 at 2 p.m. and Jan. 24 at 6 p.m. in the Moriarty Auditorium on the corner of North Albina Avenue and Killingsworth Street. Both showings are free to the public and will be followed with a questions and answer session with local residents and Cornelius Swart. Anyone who has lived in Portland for at least a few years knows how much the northeast neighborhood around Williams Avenue has changed. There are condo buildings and a New Seasons where there were vacant lots and boarded-up buildings. African-American-owned businesses closed long ago, replaced by Ruby Jewel Ice Cream, Bishops Barbershop and boutique stores. The wholesale displacement of African-Americans from the Albina neighborhood, an area that includes much of Northeast Portland, is the subject of “Priced Out: Gentrification in PDX,” a documentary film written and produced by Cornelius Swart. 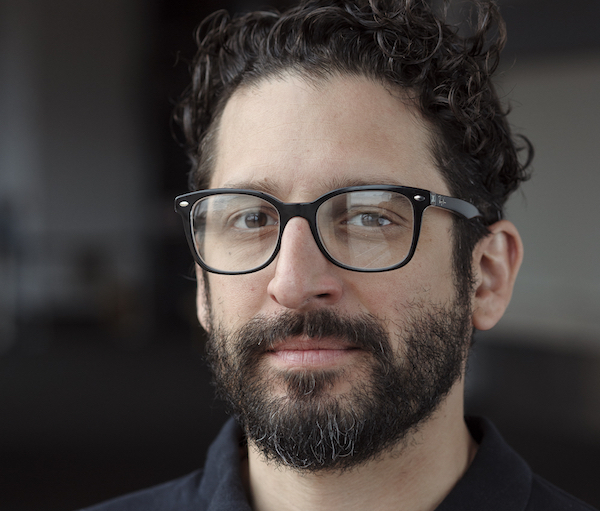 Stwart is a Portland journalist, filmmaker and former publisher of the Portland Sentinel, a community newspaper that folded in 2010. “Priced Out” is the sequel to “NorthEast Passage: The Inner City and the American Dream,” a documentary that explored early gentrification in the Albina neighborhood. Both films tell the story of Nikki Williams, a single African-American mother who spent her entire life in the Albina neighborhood. In “NorthEast Passage,” she welcomed gentrification to her neighborhood, affected by disrepair and crime. “Let it come, please,” she said in the film. She approached Swart in 2012, urging him to do another documentary about how much her neighborhood has changed. Swart interviewed many of the same characters from “NorthEast Passage,” focusing on Williams. Whereas she and her fellow long-time residents of Albina first welcomed gentrification, they now use the words pain, loss and grief to describe Albina’s gentrification. 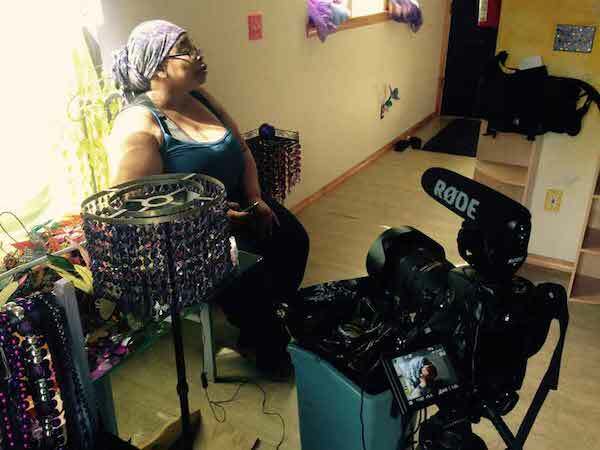 Nikki Williams, who spent her entire life in Portland’s Albina neighborhood, is the focus of "Priced Out," Cornelius Swart’s documentary about gentrification. 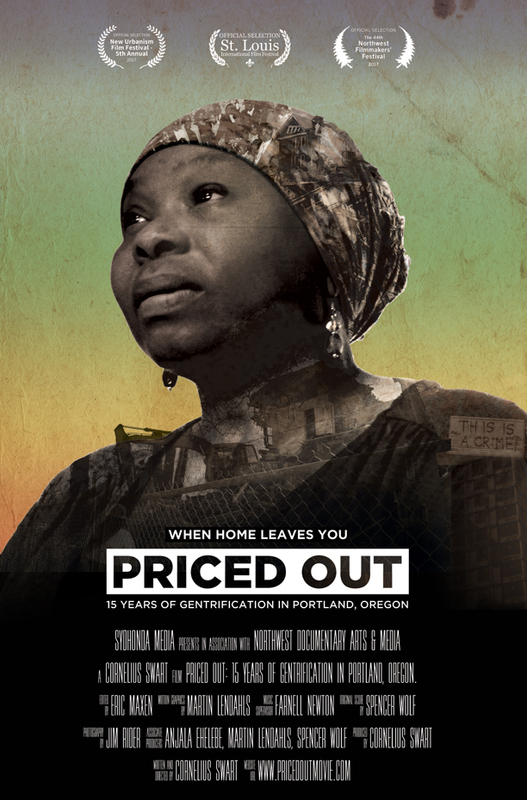 As “Priced Out” was in production, Portland’s citywide housing crisis began, prompting Swart to incorporate the crisis into the film, showing how the gentrification of Albina through the 1990s and 2000s was symptomatic of a problem now affecting all Portlanders. “Priced Out” debuted Nov. 1, as part of the Northwest Film Center’s Filmmakers’s Festival. A second screening was recently add for 7 p.m., Nov. 7, at the Whitesell Auditorium. Swart sat down with Street Roots to discuss the film and the impacts of gentrification. Amanda Waldroupe: You bought your house in Northeast Portland’s Eliot neighborhood in 1998. And you consider yourself a gentrifier. Cornelius Swart: I do. I say that I’m a gentrifier right at the beginning of the film. It was the very early days, obviously. But in ’98, I was doing a film about gentrification. At that time, some people were aware of gentrification as a threat, even though it did not threaten a tremendous amount of people, as compared to today. Most people didn’t see it coming. A.W. : What do you consider gentrification to be? C.S. : Gentrification is really when new investment doesn’t benefit the local population, the pre-existing population. New investment just serves to displace the local population. It’s not targeted for them. It’s targeted toward newcomers who have money. (Gentrification) wasn’t as visible as it was in 2010 and 2011. That’s when people started, en masse, having awareness. A.W. : Talk about the gentrification that was happening in the ’90s. C.S. : In the 1990s, crime declines dramatically. When that occurs, new investment starts to come in. People – white people, middle-class people – begin to look around and see that houses are extremely cheap. Mom and pop developers come in, start flipping houses. New businesses start coming in, once there’s a population to support that. This is the artistic, Bohemian first wave of gentrification. Chez What was one of the first ones. You also had Roslyn’s coffee shop on Alberta Street. Fresh Pot was fairly early. Mississippi Pizza was fairly early. You have those types of businesses start to mix in with the existing black businesses. This is a first wave of gentrification, and some of the folks in the film would say that these are folks from big cities, so they’re used to cities that have crime. They’re used to communities that are racially mixed. They’re not intimidated by active crime in the neighborhood. C.S. : Yeah. We’re not talking high crime. Fred Stewart is a (real estate broker) who has been in the community a long time. He said that for the white people who moved into the area then, there wasn’t nearly enough shootings to intimidate them. They were from Detroit, Chicago, New York. A.W. : And crime in Portland was probably like nothing to them. C.S. : Exactly. But even that population gets replaced by a new population 10, 15 years later that has very suburban or mainstream expectations of the community. They want on-street parking, they want convenient shopping, they want it to be quiet at night. A.W. : They want a New Seasons in the neighborhood. C.S. : They want a New Seasons in the neighborhood. And so there’s that shift on that sort of first-wave versus second-wave gentrification. That’s the distinction there. A.W. : I would argue that an important aspect of gentrification in Portland is race. The people who, by and large, were displaced were African-Americans. But one thing I hear you saying is that with second-wave gentrification, white people start to become displaced. C.S. : We try in the film to really make a distinction between “cultural gentrification,” like in Albina, where you have a community that was a safe space for a population that is being displaced from that area. Even if the neighborhood wasn’t entirely safe at times, it provided what’s been called “cultural warmth.” That’s different from a housing crisis, in which it’s a matter of how can I afford rents this high with wages that are this low. There is a big difference in the experience. A.W. : Do you think one of the reasons people are becoming more aware of gentrification is because of the housing crisis? I wonder if what was happening 10, 15 years ago, people were a little more complacent because it only affected the African-American community. C.S. : That’s a difficult question for me to answer, because I would have to answer for other people. I would say that activists like JoAnn (Hardesty) have stated publicly: Why do you care about gentrification now? We’ve had it for 20 years in Albina. You could point to that as a feeling there. What I saw was an interest in gentrification in the last few years; only recently has it become overtly visible that there has been a massive displacement of the black population. Even though that change seemed incremental in the neighborhood and it seems like it has been going on forever. That period of realizing that there’s a giant displacement of people not living in that neighborhood quickly fell on the heels of the housing crisis around the whole city. What we say in the film is that gentrification in the Northeast merged with a citywide housing crisis. Really, over the period of a couple years, 2013 to 2015, you went from people saying, “Whoa, there’s massive gentrification in Albina,” to “Whoa, I can’t afford my rent here in Southeast.” And that’s because Portland real estate market and so many urban markets just catch fire by 2015. A.W. : As you were making the film, the housing crisis began, and affordable housing suddenly became the most important issue the city is facing. How did you decide to integrate it into the film? C.S. : The way people will see this film is almost completely different than when we originally started the project. The housing crisis is going to be put in the context of Albina’s experience of gentrification. It’s a film about Nikki Williams and how she went from embracing gentrification or the idea of gentrification in the 1990s from being fully disenfranchised in 2015 to the point of giving up on it. Within that journey, we see gentrification going from an Albina issue to a mainstream issue. Everybody finds themselves in the same boat as Nikki. C.S. : It’s a sad story. I think there’s a lot of hope and resilience in it, but it’s an emotional story. "Priced Out: Gentrification in PDX" is a documentary film written and produced by Cornelius Swart. A.W. : One thing I’ve realized from the housing crisis and the increase in homelessness is that our economic system is failing an entire class of people. C.S. : You can see over the past five years how the working poor have been systemically converted into a homeless population. It’s almost like we’re taking a rung out of the ladder of American society, one rung at a time. I think Nikki’s story is a heartbreaking example of how you can get the American dream, and it can still turn into a nightmare. She owns her house. She found homeownership. She had a house but lost a home. This is a story about how you can even have a house, but your community can be wiped out. A.W. : That sense of loss, how the housing crisis is affecting Portland, the emotions connected to it, is what vaulted (Portland City Commissioner) Chloe Eudaly to power. I don’t think she, or anyone else running on a platform solely about affordable housing, would have been elected in any other cycle. C.S. : I think that’s absolutely true, and one of the things we try to capture about the housing crisis is that, whether it’s Albina or the city as a whole, things don’t really happen until people find agency and take to the streets and take it into their own hands. It doesn’t stop the process from being a messy and imperfect one, full of conflict and disappointment, punctuated by moments of progress. That’s just what a healthy democracy looks like. You never arrive. It’s just a journey. A.W. : We’re constantly working at perfecting ourselves. C.S. : It’s a ceaseless social struggle. And what we see with the housing advocacy that happened in this community, where promises were made to build affordable housing decades ago when there was still time to offset some of the displacement. The advocates I talked to say that we took our foot off the gas pedal. Now it’s come back in force. It should never have let up to begin with. Even when it seems to be going good, you have to keep going. A.W. : What do you hope the main takeaway for viewers will be? C.S. : You need to engage constantly. It’s a ceaseless struggle.